You can use Visual Studio Code for developing TypeScript applications. NodeJS Download and install from the following link Node.For windows 8 download 64 bit version. Once you install Node.js ,NPM will be automatically installed.NPM is Node Pacakge Manager. It is used when developing TypeScript applications. Verify if the NPM is installed and check the installed version of NPM. 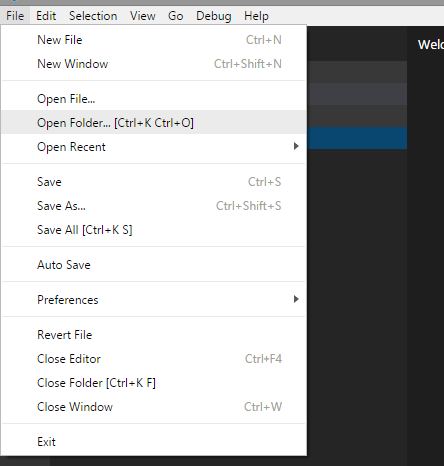 Once you install Visual studio code you can create a root directory in which you want to add the files of your application. Now you can open the root directory in Visual Studio Code. tsconfig.josn This is required in the root directory of the application. tasks.json This is used to define task configuration.